I LOVE salsa and have tried many over the years. I have found a new favorite. 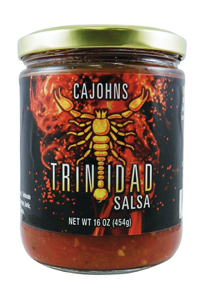 CaJohn's Trinidad Scorpion Salsa has an incredible taste along with a nice heat. Great for mixing with chili or just muching on some chips. Last night I mixed a little with some thousand island dressing and put it on a salad and it was outstanding. Big thumbs up to my favorite online store Mo Hotta Mo Betta!! Well this was a delicious and HOT salsa that I would highly recommend. Once you get over the initial shock of the hotness, the flavor just lingers. Love it! Now this is not something that you eat a lot at one time but enjoy and savor. This is now one of my favorite salsas. 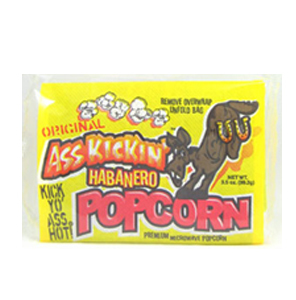 It has a great blend Hot with a great, sweeter side salsa taste. Could not stop eating it! It is probably a bit too spicy for some, but I would not consider that spicy. really a great flavour/heat combination!